Published on October 25, 2012 in Champion Mindset, Inspiration, Motivation, Sports Books and Sports Psychology. 0 Comments Tags: Dr Phil Jauncey, Mental Discipline, Mental Toughness. If you want to learn more about mental toughness, click the hyperlink or the image above to access a list of books I’ve read and reviewed on the subject. Published on April 26, 2012 in Champion Mindset, Sports Books and Sports Psychology. 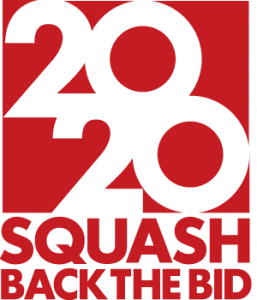 2 Comments Tags: Bounce, Bounce Book, Choking, Explicit System, Implicit System, Matthew Syed, Tennis Lesson. If you’ve ever wondered how really great athletes perform their magic, it’s because they have acquired a wide range of skills and abilities that are now part of their IMPLICIT Mental System. 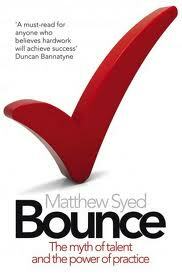 Matthew Syed explains in it outstanding detail with amazing clarity in his bestselling book “Bounce“. Rather than try to summarise Syed’s explanation, I thought I would share with you a real case study from Sydney Tennis Coach, Alison Scott. Today I was teaching a 12 yr old girl the forehand. She had come to get some lessons after having a break from playing for a couple of years and wanted to get back into it again. She was a medium beginner – where she had 2 years of lessons before she stopped playing. 15 minutes into the tennis lesson I noticed a pattern where she would miss hit balls that she had to run out wide to hit. I was aware she looked awkward and not feeling natural moving out to her right. I stopped and asked her to come to the net. I asked her what she was focusing on when she was running wide for the forehand. She thought about it and then said she was focusing on her feet/footwork. I suggested that we work on tracking the ball visually and working on her timing. I explained in more detail the exercise and we continued. After another 15 minutes she was hitting the ball cleanly and was more balanced. She came to the net smiling and said it felt so easy and she felt more control with the ball. I explained a couple of things, one was getting her to understand that movement is as natural as walking down the street or around the house. You don’t think about it [because it's in your IMPLICIT Mental System]. By putting her attention on the ball as the main focus made everything else fall into place naturally. It’s important to realise where you’re getting distracted or diverted and then get back on track quickly. Having a good tennis coach is a must to help you overcome the obstacles that prevent you from becoming a much better tennis player – usually with a lot less effort, stress and anxiety. Published on January 13, 2012 in Champion Mindset, Inspiration, Motivation, Sports Books and Sports Psychology. 0 Comments Tags: Champion Autobiography, Champion Mindset, Lauren Burns, Olympic Champion, Tae Kwon Do. Lauren Burns’ Fighting Spirit is a great autobiographical recount of a champion’s challenges and as the book’s title extolls, her fighting spirit. Even though I am not a martial artist, the play-by-play analysis was beyond my interest, the self-analysis and honesty revealed was quite remarkable and refreshing to read as she let us into a champion’s mindset – especially when she failed or came up short. She is a true champion with laser-focused concentration on the ultimate goal – the Olympic Gold Medal. 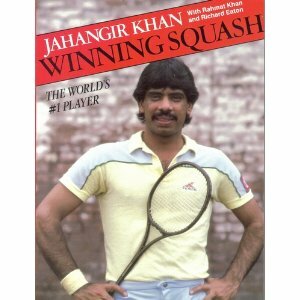 Thus is a must-read for anyone who wants to know the inner workings of the Mindset Of A Champion.